Korg Italy, a subsidiary of the Japanese Korg corporation, was established in 1995 to handle the design and production of electronic musical instruments and, in particular, of high-end digital pianos and electronic arranger keyboards. The decision to locate the Italian facility in Osimo was prompted by the area’s tradition in the manufacture of electronic musical instruments such as the famous console organ, a forerunner of today’s digital keyboards. 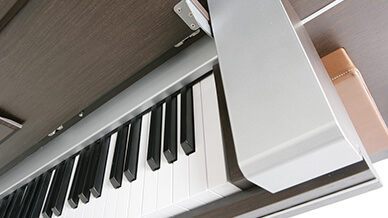 “Korg Italy operates independently under the Korg brand name, with its own dedicated Research and Development department that handles not just the electronic and musical part, but also all other aspects of product design, including the mechanics, hardware, industrial design and everything else that goes into a new product,” says Jürgen Schmitz, co-founder and R&D manager. Korg produces objects that have an internal mechanism. Often, the engineers will require alterations to the industrial design if, for example, they discover that an electrical component is of a different size than that originally envisaged. Making changes to the design at an advanced stage in the product development cycle can incur considerable costs. “Once an initial design has been finalized, we often have to repeatedly modify it to accommodate changes to internal components, such as a printed circuit board that is larger than anticipated, and so on,” explains Head of Design Paolo Capeci. “When this happens, we cannot afford to dismantle the entire original design." “For those of us who make objects containing mechanisms, the Construction History feature of Evolve is invaluable”, continues Capeci. “Evolve allows us to manage the frequent design modifications that occur during the product development process. In this way, we maintain full control over the project through all its stages, from concept development to the construction of the mold." Create high-end digital pianos and electronic keyboards that accommodate the circuits and mechanisms required to for great performance with style and elegance. Adapt to the internal component design modifications that occur during the product development process using Evolve. Fast adaptation of an initial design in Evolve to accommodate a change to an engineered part. Use of the ConstructionTree to explore more design alternatives. The additional use of Evolve for packaging and case design. Beautiful musical instruments that are exhibited at Salone del Mobile in Milan. “Not just the musical instruments, but also the cases and packaging are developed with [Evolve]." 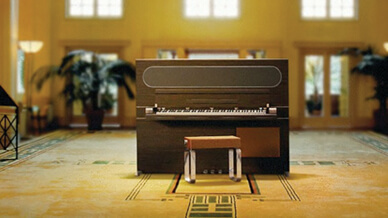 Korg is reinventing the universe of digital instruments by creating objects that can fit stylishly into a living space. Today, Korg is no longer viewed just as a maker of musical instruments, but also as a creator of innovatively designed objects. Korg Italy, a subsidiary of the Japanese Korg corporation. Korg is recognized as one of the most innovative manufacturers of electronic musical instruments and accessories in the world. 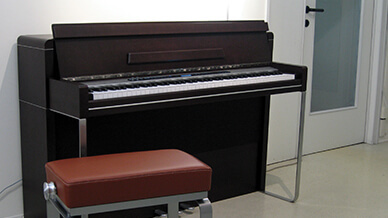 With its headquarters based in Tokyo, Japan, Korg maintains a network of distributors operating in countries around the world.